Directions: Write a five paragraph essay on any topic of your choice. 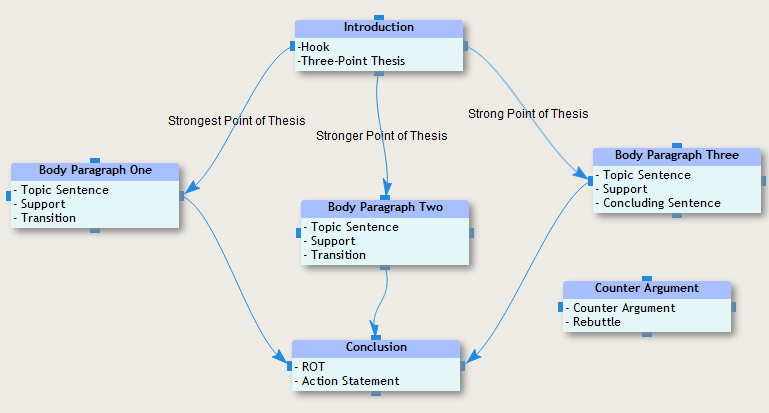 As homework, select another topic, use MyndBook (MyndBook.com/go.php?to=306_1396) to create a note map of your ideas before you write the essay. Compare both of your essays and see how brainstorming and planning helps improve your essay.